For over 25 years, CSI has been dedicated to providing NDT solutions in the refining, chemical, and power generation industries. Our team of certified technicians are committed to providing high-level inspections with accurate and dependable results. Helping you increase reliability, and reduce equipment downtime. 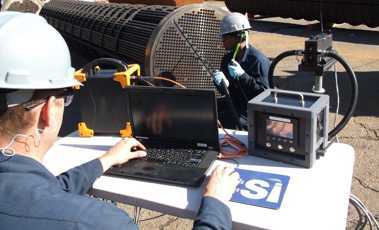 CSI offers a wide range of NDT services for Tubing, Surface, and Piping applications. From large-scale turnarounds, to single-day outages, we strive to meet your requirements and exceed expectations. We provide 24/7 field support, servicing all locations in the United States. Contact one of our regional offices to request a quote, or obtain additional information on our services and products. 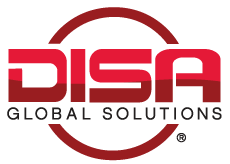 We are proud to announce that CSI has joined forces with Versa Integrity Group as a wholly owned subsidiary of Versa. We plan to continue to provide you and your plant with the same high level of quality in personnel and tube inspection services. As your inspection needs have changed and increased we decided that this formal forging of alliances with Versa provides us with resources in manpower and equipment necessary to accomplish your inspection goals. Your day to day contacts will stay the same and we look forward to your continued support. Versa has a reputation of quality and safety across the non-destructive testing space. We are committed and excited about the additional support and services we will be able to provide you along with Versa. The partnership will give our clients access to additional services in standard non-destructive testing methods, rope access, advanced technologies, and other services. Versa’s team is made up of over 600 engineers, API inspectors, rope access climbers and NDE technicians. They have 12 offices across the central Gulf Coast, with locations in Gretna, LA. (New Orleans), Broussard, LA. (Lafayette), Sulphur, LA. (Lake Charles) and Houston, TX. You can learn more about Versa Integrity Group on their website. Which tubing inspection method is right for you? CSI specializes in tubular inspections. See our tech briefs for general background information, plus view a side-by-side comparison of each method's capabilities and limitations. CSI technicians are actively enrolled/associated with the following safety, auditing, and screening programs.